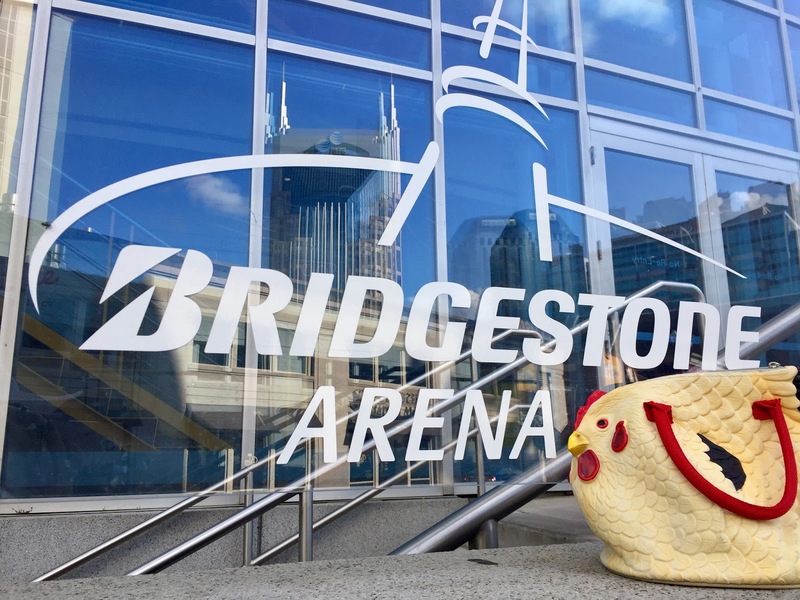 Red's Shoe Diaries: Why did the chicken cross the road? Why did the chicken cross the road... and why are its motives the subject of so many jokes? For that matter, what's up with rubber chickens - what is about them that is so comical, anyway. Are they even actually funny? I can't say I'd ever seen the humor in rubber chickens, but the nation's largest manufacturer of the fowl prop reports that up to 20,000 of them fly off the shelves every year, so they must be tickling somebody's funny (wish)bone. When I had the chance to pick up this rooster purse at a charity purse auction to benefit Beacon of Hope last Fall, though, my love of wordplay and quirk kicked in and I found myself bidding on the bird despite its admittedly aesthetically dubious demeanor. 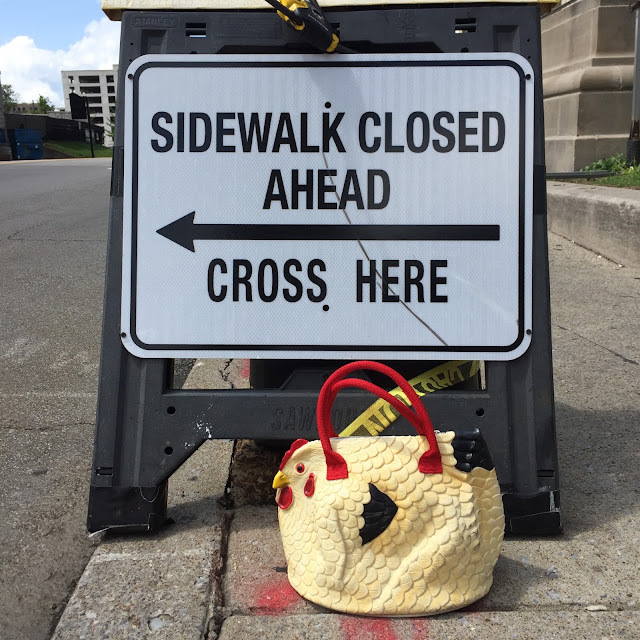 Come on, you have to admit it's kind of funny to cross a road while carrying a chicken purse! 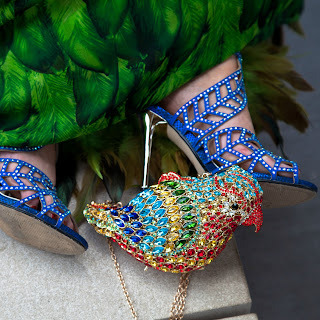 I mean, really, it makes every outfit "poultry in motion!" Don't lie -I know you're cracking a little smile. You may not be crowing at my hard boiled attempt at humor, but this little guy didn't lay an egg when he accompanied me on a road trip to Nashville, Tennessee with a friend last month. One of our first stops was famed biscuit joint, Biscuit Love, which I highly recommend. 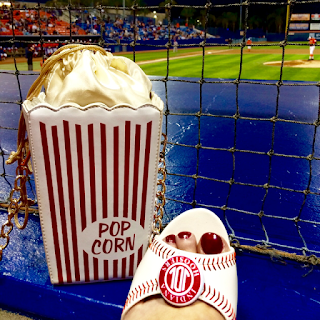 And in the South, nothing goes better with chicken (or a chicken purse, as the case may be), than biscuits or waffles! Clothes don't always have to be so serious, you know, and I certainly had a good time making fowl jokes all around the town, which only had my road trip companion groaning two or three hundred times. We were both a little "shell" shocked, though, when a group of girls approached to take a picture, with one of them asking, "Please tell me your purse has his own Instagram account, because I would totally follow it?!" 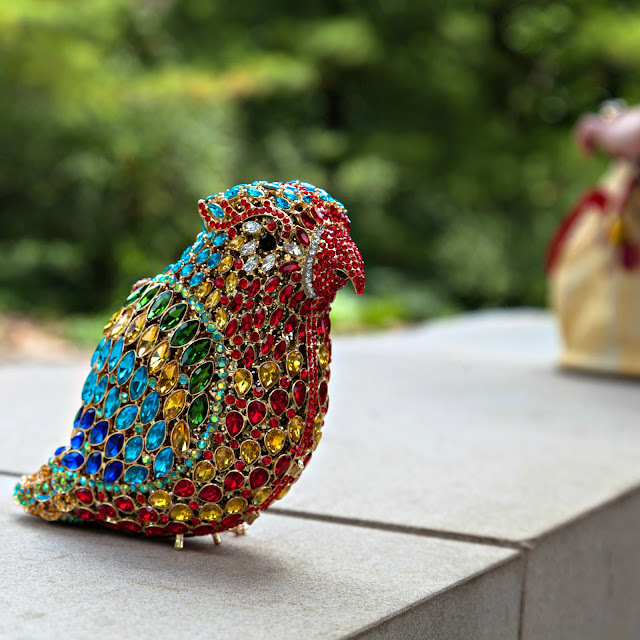 When several more people snapped photos while we explored the Music City on foot, we decided our faux feathered friend needed a name, and dubbed him "Nash" in honor of the town that brought him out of his shell. 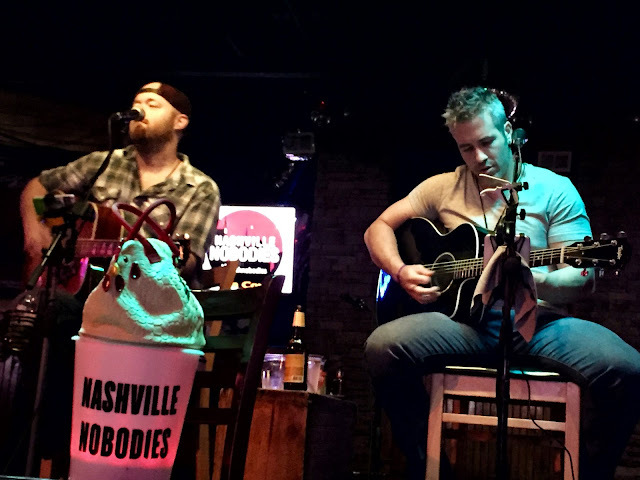 He even made his stage debut, bringing down the hen house on Honky Tonk Row (aka Broadway) as the honorary front man for the Nashville Nobodies' rendition of the Zak Brown Band hit "Chicken Fried!" Nash isn't stopping with Nashville, though! He was last spotted photobombing Mac the Macaw at Zoobilation. I wonder what roads he'll cross next?! that bag is actually very catchy . i dont know and to be honest humorous or not that number is actually too much .anyway the bag is nice and it really goes with your outfit . nice choice .